J.B. Priestley explained his admiration for Charles Dickens in an article in the magazine Everybody’s, 8 May 1954. He felt that Dickens’ view of people was child-like: “He saw people, whether they appear as monsters or as enchanting drolls, as children see them.”: his characters, like Micawber or Pickwick, are not “mere caricatures” but have a fairytale power because created by a child’s imagination. Priestley also praised Dickens’s social commitment, savage satire, and “horrible force” when writing about violent crime. He noted his “extraordinary sensitiveness and delicate perception”, not perhaps qualities always linked with the 19th century author, but as Priestley said, apparent when he wrote from the point of view of David Copperfield or other unhappy children. 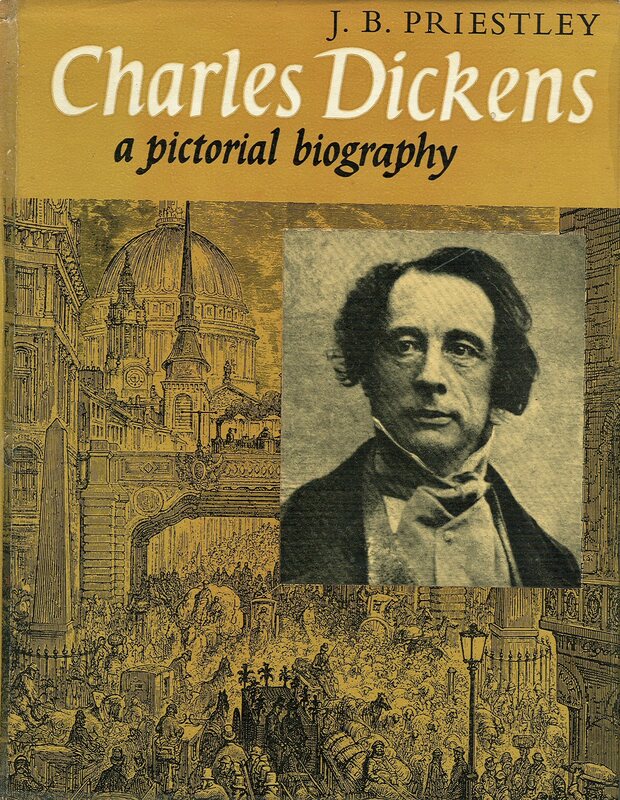 However, Priestley could be critical of Dickens. He felt that the earlier rambling but brilliant poorly plotted works outshone the later ones which were stronger technically. He also commented on how lop-sided Dickens’ world is, his morality crude, his plotting tedious, his love affairs trite. Priestley readily admitted skipping dull or embarrassing bits. For Priestley, it was the larger-than-life characters that made Dickens great, along with his zest for life, his sympathy and his humour, which was “best of all, as good as Shakespeare’s and far better than anybody else’s”. Understandably given Priestley’s admiration for Dickens, there are many parallels between their works. 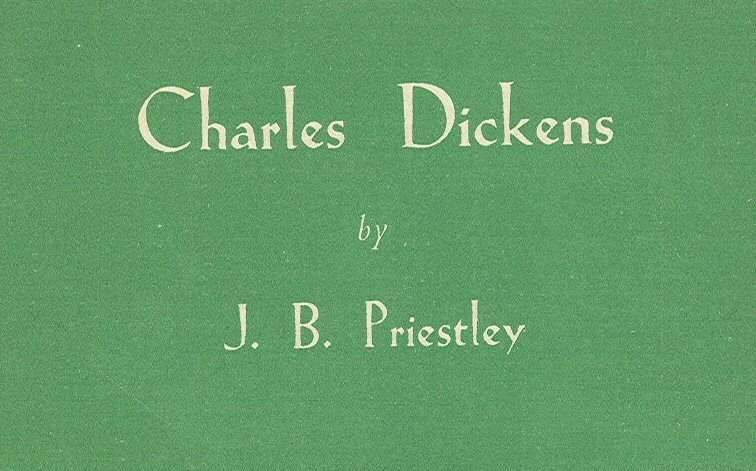 Inspired by Dickens and other 18th and 19th century writers, Priestley consciously chose to write broad good-humoured large scale novels: we can see a Dickensian flavour in the picaresque of The Good Companions, the sense of London as a character in Angel Pavement, the grotesques of The Image Men, Priestley’s evoking of the vanished Bradford in Bright Day … The other great parallel is their willingness to speak out about social abuses: Priestley’s great English Journey is as memorable as Dickens’ exposes of the evils of his time. Dickens crops up again and again in Priestley, as the subject of books and articles and as an inspiration. If you like Dickens, try Priestley; and if you like Priestley, try Dickens! This entry was posted in Literature, Priestley, J.B. and tagged Charles Dickens, Literature, Novels, Priestley. Bookmark the permalink.